You could own a restaurant and have the best food in the entire world. If the interior looks like crap and you filled the place to bursting with chairs and tables, no one is going to come eat at your restaurant! Excellent food or not! Much in the way that creating an entire experience is important for a restaurant, getting the core of a video game to show through in all aspects is imperative for good level design. To unpack the metaphor, let’s imagine that story, character design, and gameplay are the “food.” Level design is the restaurant itself. 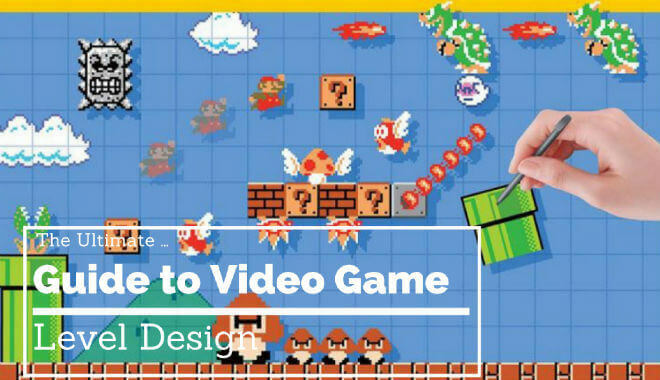 Like restaurants, video game design is a package deal. The whole product doesn’t shine if only one part of it is worth anyone’s time. This guide will take a look at a basic framework you can follow to streamline your level design. It will serve as a great tool to get you started and keep you on track in your level design journey. When you take the time to make a great level, it will make the journey you send players on that much better. We play games for the same reasons we watch John Wick or Rick and Morty. We play for the same reasons we read Malazan: Book of the Fallen. We play to escape. We play to submerge ourselves in a fictional pool, to drown out the cares of the real world for a while. This brings us to an important first point before we dive in: don’t overstep the suspension of disbelief threshold. The reasons some movies, books, and games are better than others lies heavily in this idea of the suspension of disbelief. It’s the concept of getting people to believe what’s happening in a world that exhibits fantastical properties outside of a normal, non-fictional setting. In order to keep people engaged, you have to keep them believing in the world you’ve created. It’s kind of like the movie Inception. Characters didn’t always know if they were in reality or if they were in a layer of a dream. Stretching too far in your level design could pull players out of the convincing fiction, which can diminish the fun. Some movies you’ll sit through and look at your watch every fifteen minutes to see how much longer the movie is supposed to last. Other times, you sit through a movie and it ends way too soon. Those movies managed to successfully snare you, completely suspending your disbelief. If breaking the suspension of disbelief lessens a game, creating boring levels will ruin one. A level that is too frustrating can similarly ruin a gaming experience. To avoid these spikes and drops in difficulty, you need to manage the pacing of the level. How do you do that? Make players show you what they got! Properly challenging players is a great way to keep them entertained. This means your levels should gradually ramp up in difficulty. Adding greater numbers of enemies and adding more challenging enemies are two ways to do this. If your game involves puzzles, increase their complexity. The best way to start off a new level design is to understand the parameters within which you are required to design. Let us explain. There are all kinds of different constraints to account for. An obvious one is platform constraints. What platform are you designing your game for? Triple A games coming out for PS4 have significantly different level design constraints than the next mobile hit. Processing power of the platform is an obvious factor, but what about length of levels? Mobile gamers tend to play for shorter periods of time than console gamers. Based on that idea, you’d likely want to build shorter levels for mobile games. It’s also important to consider your audience. What constraints do they place on you? What is the typical age of your audience, the demographic, the interests? Are you designing for science loving teens, or 20-somethings that love fantasy? Audience will affect the tone and design pallet of a game. Young kids might like rounded edges and bright colors. Adults might like hard edges and grim shading. The audience should already be established for your game by the time you’re ready to design a level, just remember to bring them into focus when you start planning your design. What needs to happen in your level from a story, plot, or theme standpoint? How can you use level design to accomplish that? Maybe you need to introduce a new weapon or a new enemy. Maybe you need to introduce a new powerup, or a new character ability. These are all level design tools, and you can implement them effectively to keep the player challenged. The Halo franchise has a number of distinct enemies, vehicles, and weapons. Take a look back and see how they effectively introduced these elements throughout a level to keep the player challenged without overwhelming her, and to satisfy the story element of the games. Time to consider the player character itself. How fast is the character? How big? How high can it jump? What about the enemies? How do they function? Do they attack from a distance or do they lurk around a corner waiting to surprise you? These are all decisions that inform level design. Do you need corners and dark spots so enemies can pop out? Do you need outcroppings and elevated platforms so ranged enemies can strike from a perch? Once you understand the level parameters, it’s finally time to map out the level design. It’s important that the overall vision of the game is maintained. Keep that at the forefront of your creative brain as you make your design decisions. It can be helpful to think in terms of the big picture for the level. Keep it to a loose framework. Where will it take place? A Jungle? Some caves? An old town? At this stage, you might benefit from working on paper. Paper is cheap, and it’s likely faster than your ability to render your ideas in a development platform. One helpful technique is to divide the level into sections. This will function as your outline for the map. Just sketch out a bare-bones skeleton of the level. We’re talking very simple here, just shapes with numbers in them to demonstrate the progression. Use arrows to demonstrate which way the character is able to move between the different sections of a level. After you get a sense for the level flow and the different sections, it’s time to add more details to the map. This is a rough first draft, and can still be done on paper. Whether you’re drawing it or illustrating it in a paint application, a 2D overhead view of the layout is likely still the easiest way to map your vision at this stage. Take your rough draft and illustrate the relative sizes of everything–the size of all objects in a section, and the relative sizes of the sections themselves. You can label platforms, obstructions, and enemies. The more you add at this stage, the easier it will be to design with your editing tools. You can continue to finalize your design with enemy trigger points, elevated platform heights, and power-up placements. Test the level. Test it like you didn’t design it. Test it like you’ve never played a game like this before, like you aren’t the clever gamer that you are. Is it fun no matter what? If it’s good, nice work. If it needs some work, keep tinkering with it until it’s great.